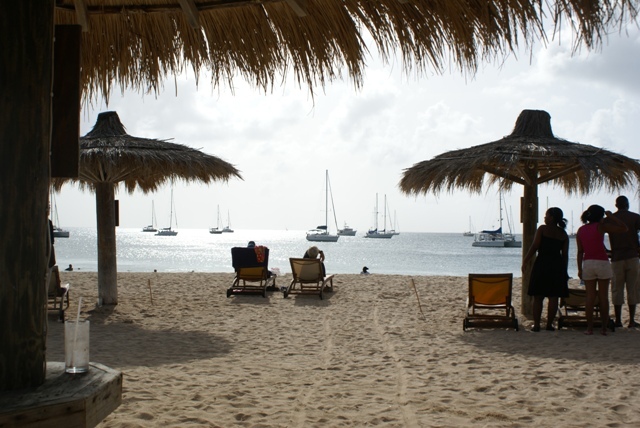 Our departure from Martinique was set for 10.30, but it was pouring down, so being not such intrepid sailors we waited for it to stop! Leaving at 12.15 the passage to St Lucia started very lumpy bumpy over the shallower coastal waters - short seas and swell right on the nose with waves over the bow and spray everywhere.With the customary 2 reefs in the main and reefed genoa Aurora B powered through the seas and as we cleared the coast and reached much deeper water the seas calmed down a bit. 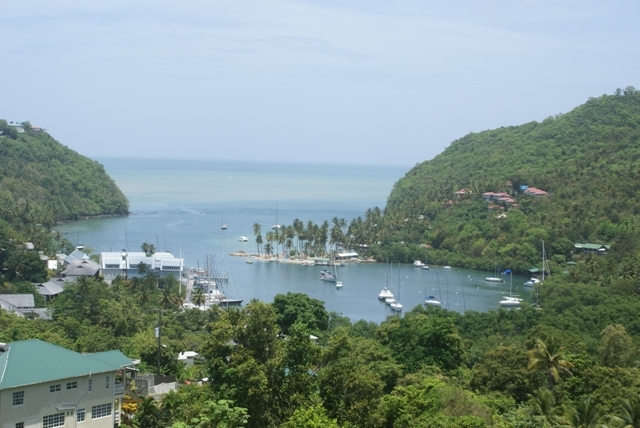 The swell was now coming more from the east, making it much more comfortable and making 6 to 7 kts we had a good passage all the way to Rodney Bay, covering the 25 miles in under 4 hours. 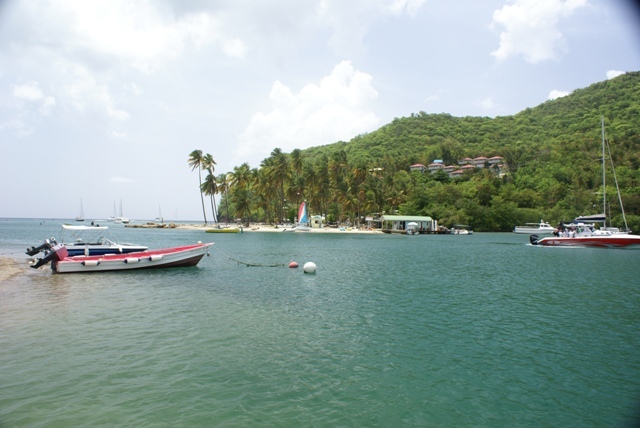 We anchored off the beach in front of the Royal St Lucian hotel where friends Janice and Clive were staying. 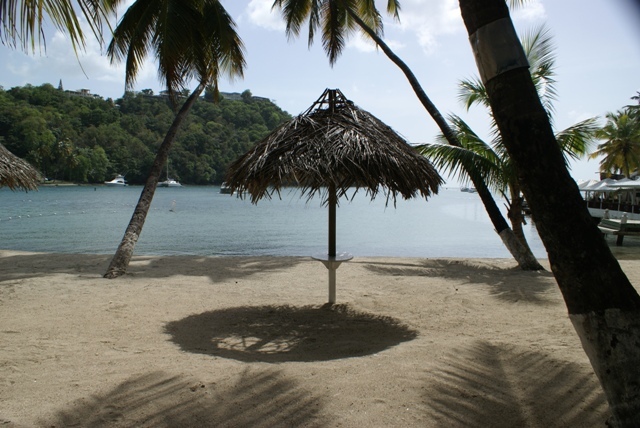 Reduit beach in front of the Royal St Lucian hotel, Rodney Bay. 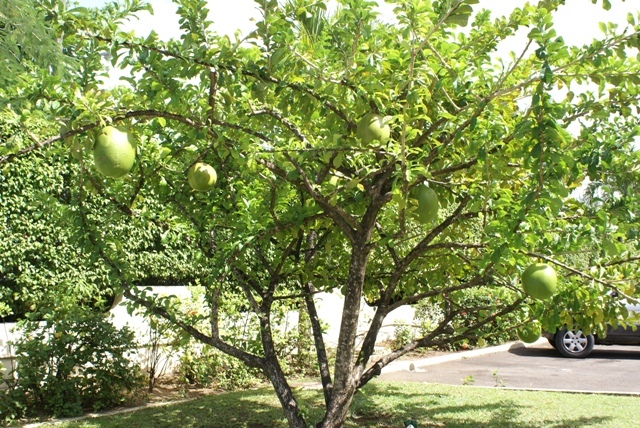 Breadfruit tree in local hotel's grounds. 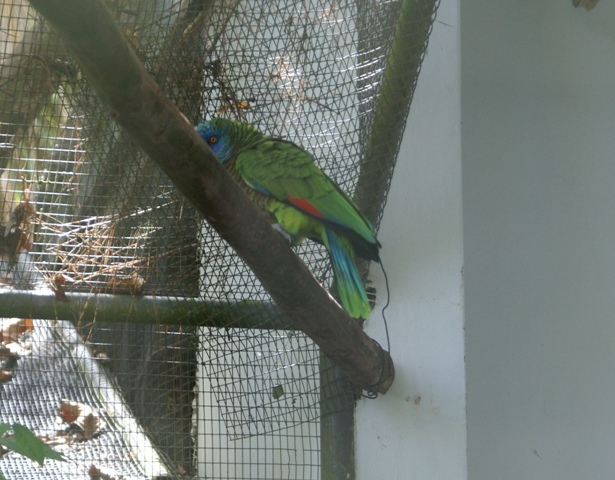 Having driven and walked into the rain forest to see the St Lucian parrot, the best picture we could get was one in a cage! Hiring a car we drove down the west coast and this and the following pictures are all of Marigot Bay.